Warmer temperatures in the last week and little snow so far this season have winter snow enthusiasts hoping for a cool down and some timely snowfalls before to get trails ready for the more than 30 candlelight events scheduled for this winter at Wisconsin state park, forest, recreation area and trail properties. 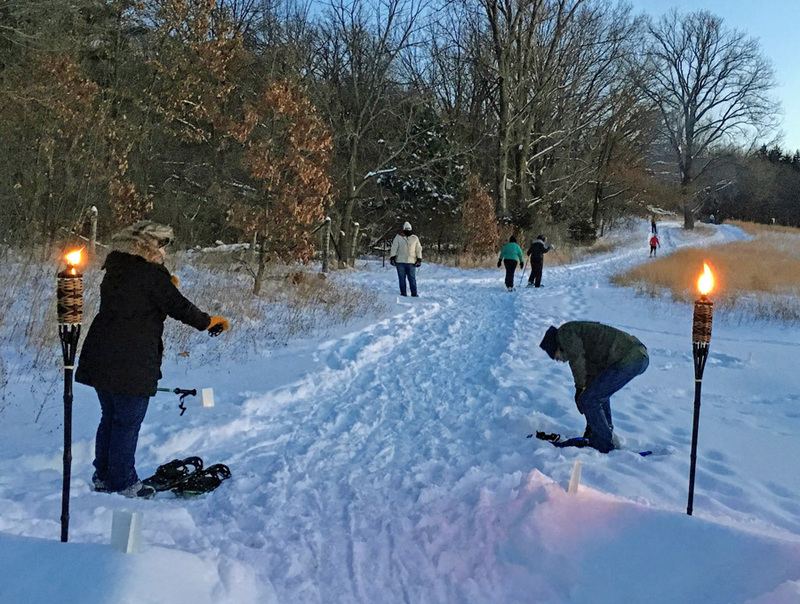 This winter’s candlelight events kick off January 5 with Blue Mound and Mirror Lake state parks holding events. The largest number of events will be held January 19, February 2 and February 9. Events at Lapham Peak Unit of the Kettle Moraine State Forest and Horicon Marsh Education and Visitor Center attract so many visitors that all of the available parking fills. Horicon offer shuttles from other locations and Lapham Peak encourages people to car pool. Parking vouchers are required prior to arrival at the Lapham Peak event. The park system plans on again using the Wisconsin Department of Natural Resources Twitter social media platform to alert people when an event has reached capacity or has been cancelled due to inclement weather. Event visitors are encouraged to post photos on their Twitter and Instagram accounts using the hashtag #OutWiGo, the park system’s new initiative — pronounced “Out-We-Go” — to promote activity and good health through the great outdoors. People can check on the details of each event by going to the Department of Natural Resources website, dnr.wi.gov, and searching keyword “candlelight.” Some friends groups had not finalized details for events this winter, so additional events will be added as they are finalized. For more information on park or forest properties and locations, search for keywords “find a park.” 2019 Wisconsin State Park admission fees and trail passes apply for the events unless otherwise noted.